A little over a month ago, the eastern part of our state was hit by Hurricane Matthew. It hit our coastal regions hard and caused inland flooding that has left thousands of people rebuilding their homes, businesses, and lives. 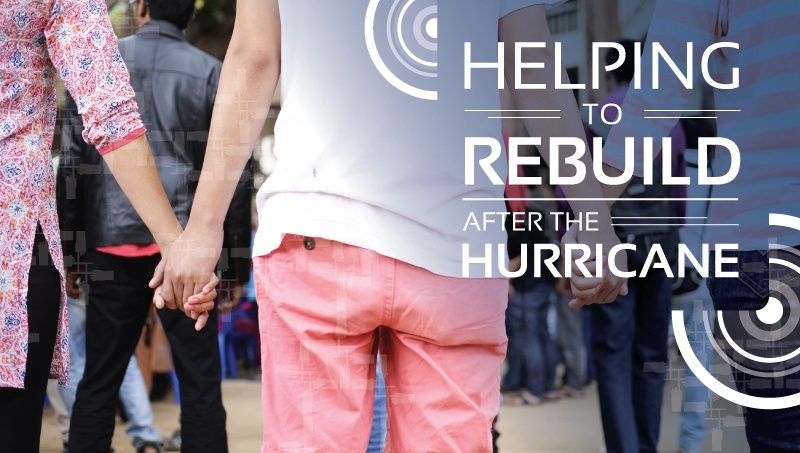 Seeing a disaster like this hit our own community put a focus one of our most important company values; Giving Back to our Community. One of our employees, in particular, exuded this value in the wake of the hurricane. He has set a great example to our company with his efforts towards Hurricane Matthew relief, and we are proud to have him as one of our own. His name is Thomas Johnson, and once relief efforts began, he knew he could help. Lumberton was one of the hardest hit areas in our community, with over 880 buildings flooded and an estimated $23.9 million in damages. 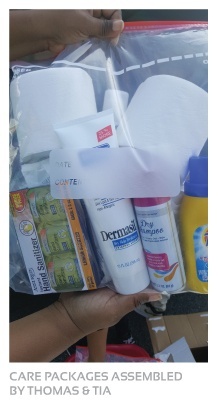 So with a donation provided by Amerizon Wireless, Thomas and his daughter Tia, assembled 150 care packages filled with necessities such as; toilet paper, hand sanitizer, dry shampoo, and laundry detergent, to aid the Cross Creek Mall Hurricane Support Donation Drive that was held on October 15th. This relief drive was a success and 2 truckloads of clothing and supplies were donated and distributed to the residents of Lumberton. Their efforts helped friends and neighbors get through one of the worst disasters to ever hit the area, but the cleanup and rebuilding continues. This is why we could not justify spending our Christmas budget on gifts and big company parties this year. There is a bigger need for that money elsewhere, so we are donating it to Hurricane Matthew Relief efforts. Our region will feel the effects of this disaster for quite some time, but with our donation and the efforts of Thomas & Tia, we hope to inspire others to think of something bigger than themselves this holiday season and give back to their communities and those who need it most.